Unique Group’s Diving & Life Support division has recently delivered a state-of-the-art, Zone 2 rated, Classed Surface Nitrox Dive system to FSDS Diving Services, the Asian based subsea service provider. The diving system supplied was ABS Classed, ATEX Zone 2 certified, IMCA compliant and rated to -20 degrees Celsius. The system comprised an 1800 decompression chamber, a dive control and client area, a machinery and a gas storage space, each housed in EN12075 offshore lift containers. 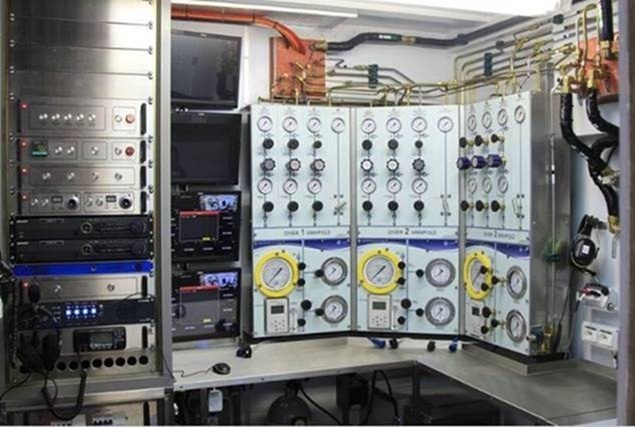 A pair of hydraulic zone rated open cage diver LARS units were provided with the system. Zone rated systems are typically required on diving projects on FPSO’s when there is risk of hazardous and flammable gas clouds such as H2S. These systems must be designed for continuous operations during a gas cloud. The diving system is enclosed in pressurised and fire rated containers. 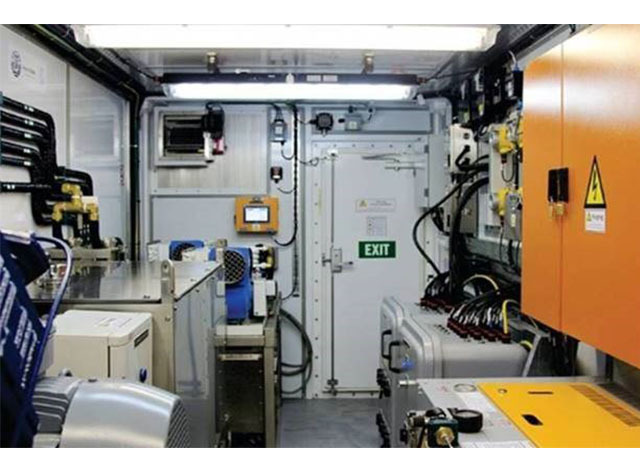 The containers are kept safe through the use of gas protection systems and control over-pressurised spaces. The Zone rating of the dive system was designed by highly specialised engineers at Unique Group with full compliance to ATEX and the latest IMCA guidelines for safe and effective diving operations. Ian Huggins, Director of Unique Group’s Diving & Life Support division commented, “Unique Group is among the world’s most prominent integrated subsea and offshore solution providers, delivering bespoke, off-the-shelf engineering solutions and cost-efficiencies across the oil and gas supply chain – onshore and offshore, surface and subsea. The Diving & Life Support division is a specialist division focusing on the design, build and installation of commercial and military diving equipment. A second compact Zone rated ABS Classed system is currently in production at the Diving & Life Support division in South Africa and is available for sale and rental.